Sending kids to school is a bittersweet moment. On one hand, we love having our kids home with us. The extra hands for making work lighter! The fun and the memories! The lazy days and exciting day trips. Pajama days and lax schedule. Sigh. On the other hand, the extra hands for making messes! The bickering and tears! The “I’m bored”s and “It’s too hot!”s. The tangled hair and bedtime slipping by (two hours ago!!!). Ack! We love the freedom and flexibility summer brings, but we also love the structure the school year provides us. I love summer, but I am always content to go back to school. 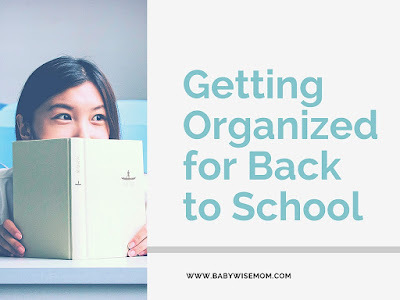 One daunting task in connection with back to school is that we have to get ready for back to school. 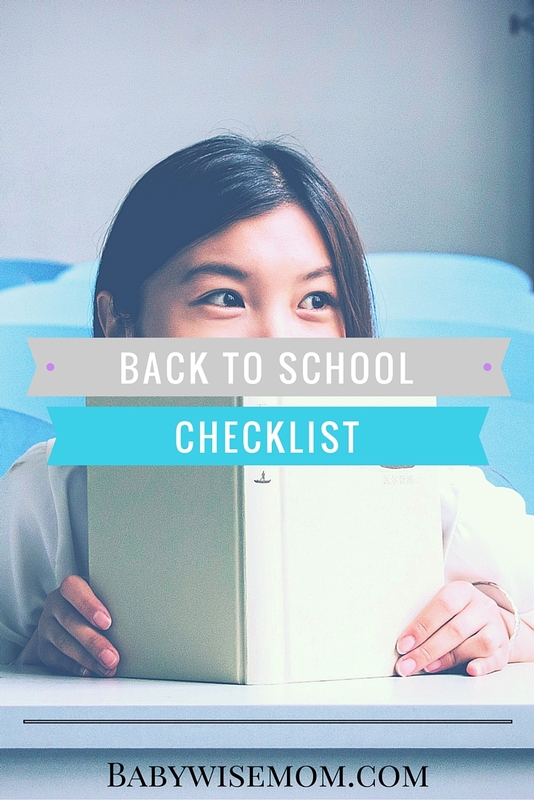 Even if you are mentally and emotionally okay with the realities of back to school, that doesn’t mean you want to spend the last few weeks of freedom planning and preparing for it. You wan to enjoy summer! I have you covered. I have been doing this back to school thing for many years, and I love to organize myself. Let me share my wisdom. One of my favorite things about going back to school as a kid was the new clothes. Funny how favorites can change…haha! Shopping for multiple children can be daunting, and the last thing I want to do is get home with a pile of clothes and realize I bought a bunch of what nobody really needed. Each summer around the end of July or beginning of August (3-4 weeks before school starts for us), we have a “try on everything you own” day. This is Brayden’s most dreaded day of the year and my girls’ favorite day of the year. The child tries each thing on and we decide if it fits still or not. Once we have weeded out all of the clothes that are too small, I look at what the child does have and decide how many of each type of clothing the child needs. I just make a list in my Notes section of my iPhone. So I have a Note for Brayden Clothes. I will have a section for t-shirts, long-sleeved shirts, shorts, pants, etc. I write under each section how many shirts I want to aim for. I will even make note if we have too many of a color or list a few colors I think we should shoot for. This makes shopping much easier with four children. It also makes the budget happier AND bonus points for keeping our closets less cluttered and easier to keep clean. Another exciting aspect of back to school is school supplies. I mean, new crayons? Yes please! You will want to take note of what supplies you need at home for homework and what supplies your child will need at school. For us, each grade and each teacher is very different. Some provide all supplies and don’t want you to bring anything and others want your child to have everything needed. It is wise to wait until you know what the teacher wants and allows before buying things for the classroom. If you want to know some of my favorites supplies for back to school, see this posts on the best of the school supplies. Some brands last forever and others a week. year, the time to plan that out is summer. Studios, leagues, and teachers do sign-ups at least weeks before getting started. So make a list of who might do what, look into days and times those are available, and figure out what can work for the family. When possible, find someone to carpool with. Brinley will be doing dance with two friends this year. She will be taking preschool with a different friend. McKenna will have dance class with a friend and we sign up for gymnastics at the same time as our neighbor. Kaitlyn is on a soccer team with her friends. I am working on convincing my neighbors to join swim team so we can carpool (haha!). I am a believer in the carpool! It doesn’t always work out, but when it does, it definitely eases the burden weekly practices and class time puts on the family as a whole. Take a little time now to work out a plan so your school year can go more smoothly. Here is help on how to choose the best time of day for lessons. And if you are wondering how to balance a baby with these activities, see my post on how to manage baby with the sibling activities. 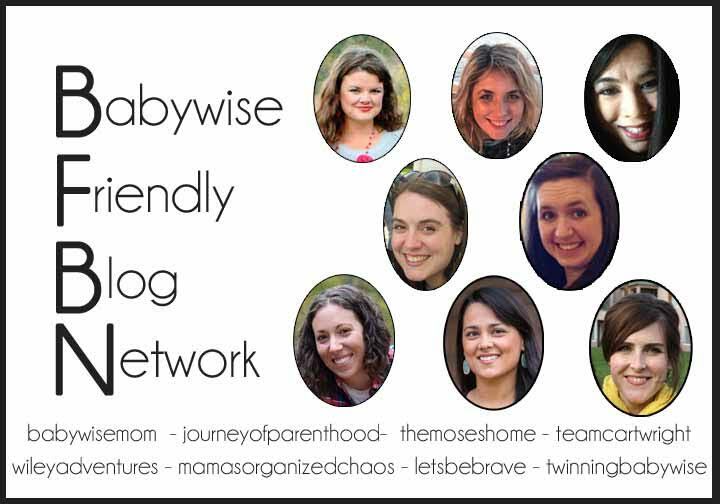 I also have a post on how to balance and organize the entire family’s schedules to work together in case you are overwhelmed with that idea. Decide before the first day what sort of traditions you want to have in your family associated with the first day of school. Do you want your child holding a cute sign in the first day of school picture? Your first day will go more smoothly if you don’t try to create that the morning of. By the way, Pinterest has lots of free printouts waiting for you. Do you wan to interview your child on the first day to find out likes and wishes? Your tradition might just be that you take a normal old photo of the first day and that’s okay, too! For the record, that is my only tradition. But if you want a certain tradition, plan for it a little ahead of time so you can make it happen. By the way, you can always start a new tradition. Your aren’t doomed if you missed your oldest’s first day of Kindergarten to start traditions. While in the summer your schedule may have varied from day to day, with the school year, you have some solid constants. Each day, you will need to get ready for school. You might be packing a lunch every day. Each day, school will start at a certain time. Each day, school will end at a certain time. You will need to have time for homework, chores, and activities to work in. There are some things you can do each day to make these consistent things flow smoothly. I really like my method for making things more smooth in the mornings. You can thrive and survive in the morning rush. I won’t promise children will never move like turtles, nor that they will never get off task. But this system I use works well and they get to that place where they can govern themselves and you can help them get ready rather than bark orders all morning. Don’t forget fitting making lunches into your morning routine. Oh, and if choosing the outfit each day seems daunting or is taking up too much of your morning, get my free printable for hanger tags. You can plan outfits all out on Saturday or Sunday and have it set for the week. How will your children get to school and back each day. Bus? Driving? Walking? A combination? Know how long each option you will use will take so you can do each without causing tardiness. If you are driving your children, if possible, get in a carpool! I carpool with a neighbor and it is fantastic. Little things like a carpool buy you 10-15 minutes here and there and can really make a positive difference in your life. It seems like a simple thing, but I frequently see parents agonize over when exactly is the right time to have homework. Should you have your child do it right after school, or will that burn your child out? If you don’t do it right away, will you just forget to do it all together? Or will you remember at bedtime–or worse–when you are walking out the door? Organize your days before school starts with thinking this through. You know your child best and your family best. And of course, I have talked in detail about this. Read my thoughts on when to do homework here. I have also talked in general about homework or piano (you could also apply these ideas to chores). Oh, and my friends, as your child comes home and you go through that backpack, be sure you have a game plan for that pile of papers your child will unveil on a daily basis. I have a great system for managing that pile of school papers. One of the best things about summer is that your children can easily fit chores into their days. Think about the best time of day for your child to get chores done while school is in session. I have a post to walk you through that. Read more on how to work chores into your day here. Take care of those five things and you will be more than prepared for day one!